USA Technologies (USAT) is a leader in secure, unattended cashless transactions specializing in the self-serve retail market. USAT provides the industry’s most comprehensive suite of services designed to connect businesses to more sales, better operating data and stronger consumer relationships. For over fifteen years, USAT has been helping customers in self-serve retail, traditionally cash-based industries, seamlessly make the transition to cashless payment and telemetry – and they are reaping the rewards of increased profits and happier customers. With the plethora of credit, debit, NFC and mobile payment options now available to consumers, USAT's comprehensive portfolio of cashless payment, telemetry and consumer engagement services make the transition to cashless easy and ensures that our customers never miss a sale. In addition to our broad line of ePort® cashless acceptance technology, USAT offers ePort Connect®, a PCI compliant, comprehensive suite of services. Wirelessly facilitating electronic payment options as well as telemetry and machine-to-machine (M2M) services, ePort Connect gives our customers the ability to remotely monitor, control and report on the results of their distributed assets – enabling greater operating efficiency and an improved bottom line. When it comes to unattended transactions, consumer purchases in the unattended space have traditionally been based primarily on convenience and infrequently on brand recognition. USAT is shifting this paradigm through new customer engagement services. Our loyalty and prepaid program, MORE™, is helping customers establish meaningful connections with consumers in ways that build brand loyalty, create return customers and drive recurring sales. 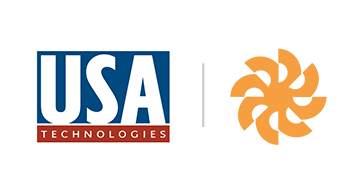 Our ePort Connect customers benefit from more than 87 patents that have been granted on USAT's products and services. Our patents pertain to all aspects of our products and services, including payment processing, transaction methods, terminal connection methods, energy management and telematics. Are you ready to cash in on the cashless revolution? Learn how you can do so effectively through USAT’s turnkey services and programs.